Last year, the U.S. workforce officially became much younger as millennials (aka Generation Y) outnumbered baby boomers. With not enough Generation X workers to backfill the retiring boomers, business will have to turn over its management reins to millennials stereotyped by tradition-bound boomers as impatient, entitled, spoiled and disrespectful. Communicate – Managers have to assemble the jigsaw-puzzle pieces of staff personalities and skills into a focused team. Constructive conversations connect staff and their passions with their work. They involve discussions of expectations, outcomes and challenge goals that show staff the importance of their roles and frame growth opportunities. Emphasize feedback, too. When setting goals think PUSH — Passionate (belief), Urgent (action now), Specific (clarity establishes path), Hairy (outside the comfort zone). When your team sees you PUSH yourself, it will buy in. Own it – Hold yourself accountable. It’s rare that a manager’s decisions don’t play a role in individual staff and team issues. Think about whether you provided the tools and the coaching required for the job. Humility plays a role in ownership; just because you’re the manager it doesn’t make you the smartest one in the room. Also, managers should remember that playing the “Blame Game” destroys staff connections. When dealing with problems, set personalities aside, too. Identify causes and find solutions; you’ll need team input to do both. Negotiate – Listening remains the key. Go-go millennials also need to remember that full speed ahead won’t help them see the organizational picture. Understanding the perspectives of others drives persuasion and enables learning. The authors believe assumptions are the biggest barrier to listening. Why? They precondition you to ignore what doesn’t square with what you thought. Go into a negotiation with an open mind. Engage &Empower – The top five drivers of employee engagement are 1. Recognition, 2. Career development, 3. Manager, 4. Strategy and mission and 5. Job content. Daily, managers (#3) have an impact on the top two. Recognition can be given through praise, responsibility, visibility to senior managers, responsibility and autonomy (i.e., flexibility on how). Career development deals with training and s-t-r-e-t-c-h assignments that develop and test their skills. It also deals with encouraging ideation and BYOB (Be Your Own Boss). Collaborate – Notice that labor centers the word. It’s a word that demands action. From a manager’s view, it deals with capitalizing on the individual strengths of team members. By playing to their strengths, “What do you think?” leads to 1+1=3. Teach – Lead by example. Be a mentor; think of your staff as protégés. Use stories rather than rhetoric to make your learning points. Why? People remember stories because they have people, not numbers, imbedded in them. They can create context and vision, and spur discussion and action. 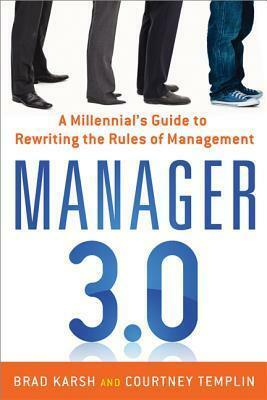 Key takeaway: Using some old-school knowledge can help millennials become better managers.